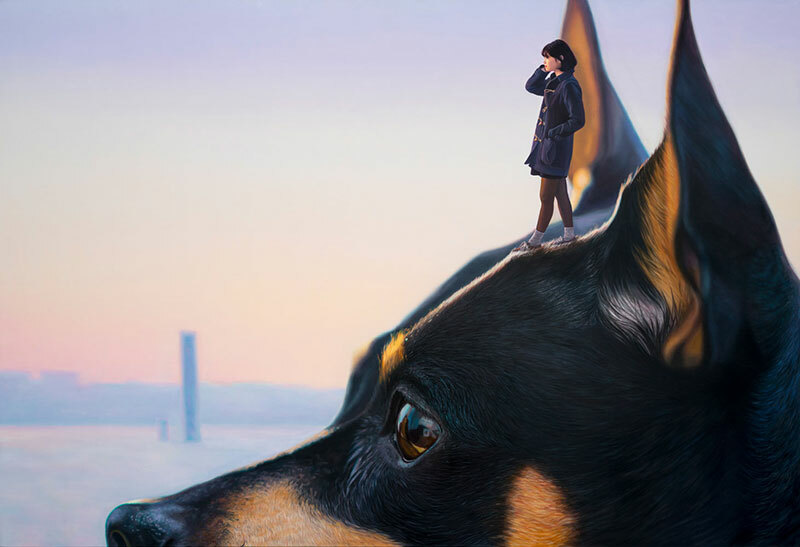 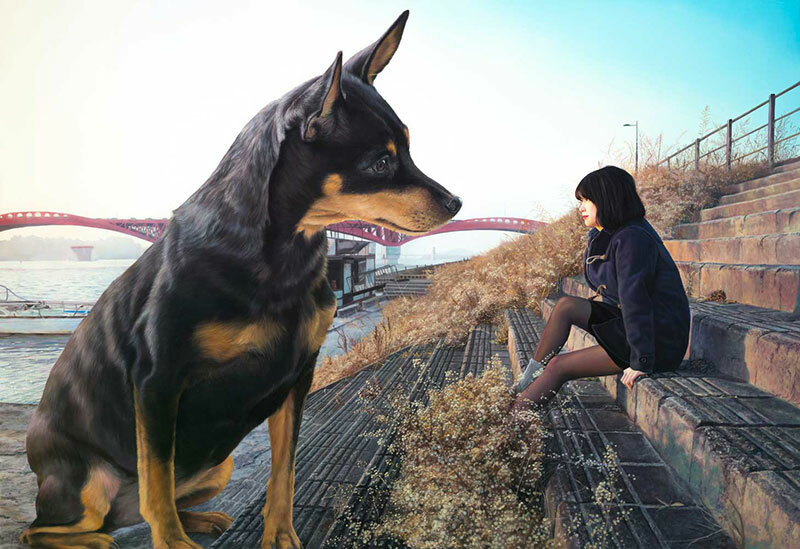 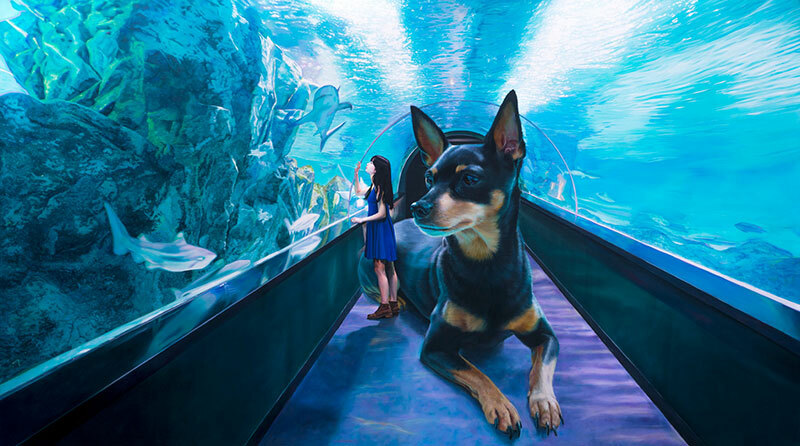 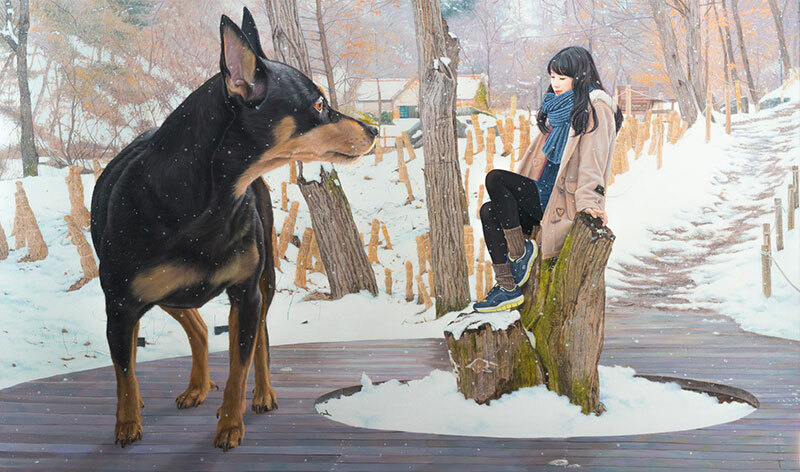 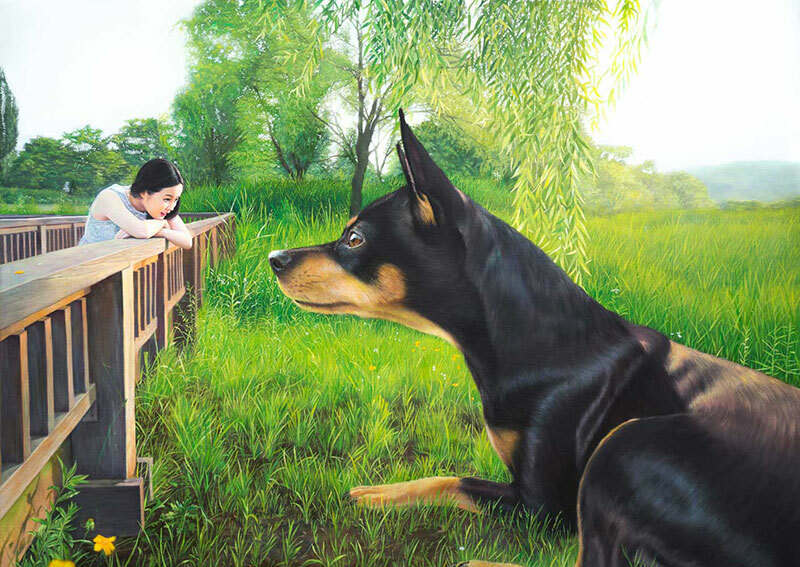 Korean artist Jeong Woojae paintings of a girl and her giant chihuahua are charming and playful expressions of the bond between humans and animals. 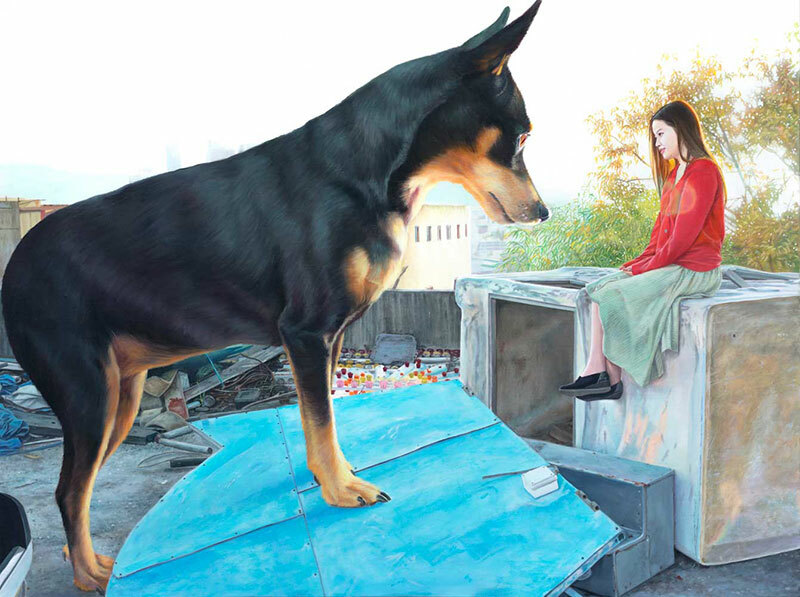 Set against vibrant backdrops inspired by the artists photos of actual locations in Seoul, Jeong uses the character of the girl in his paintings to mirror his own self as she encapsulates the artist’s own anxieties about the burgeoning responsibilities of independence and being caught between the dependency of childhood and self-assuredness of adulthood. 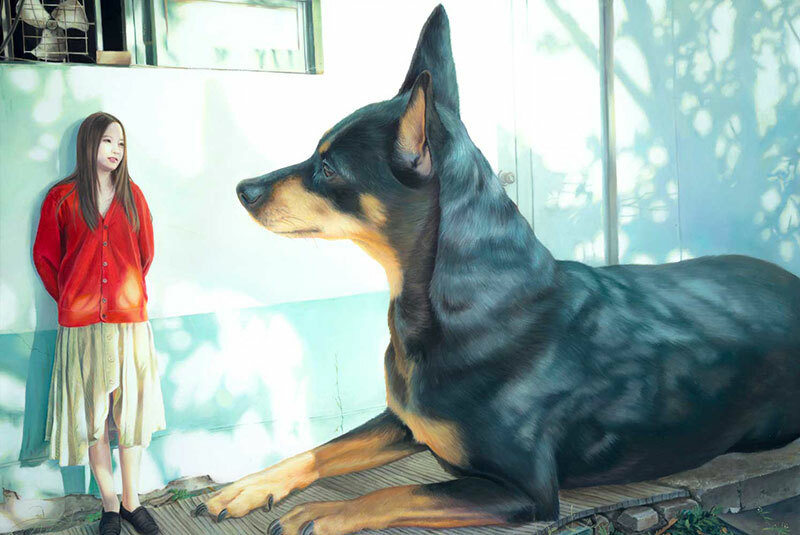 Concerned by the increasingly unfeeling nature of our fast-paced society, Jeong maintains that we need to rekindle our relationship with animals and embrace the friendship and affection they offer. 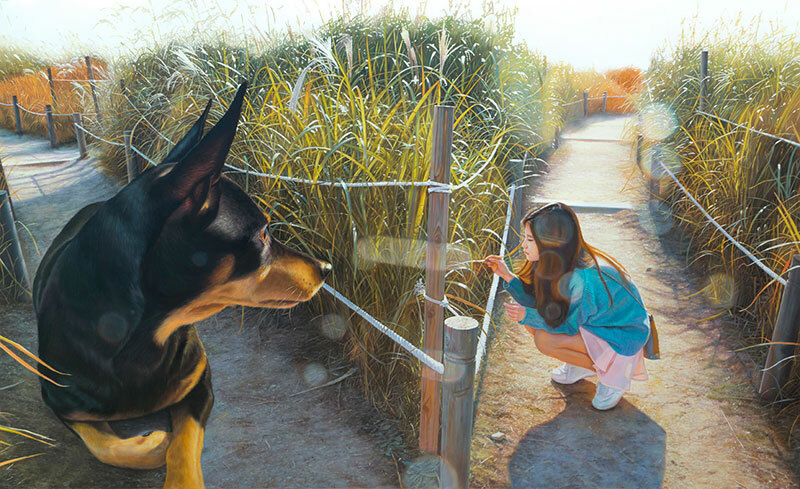 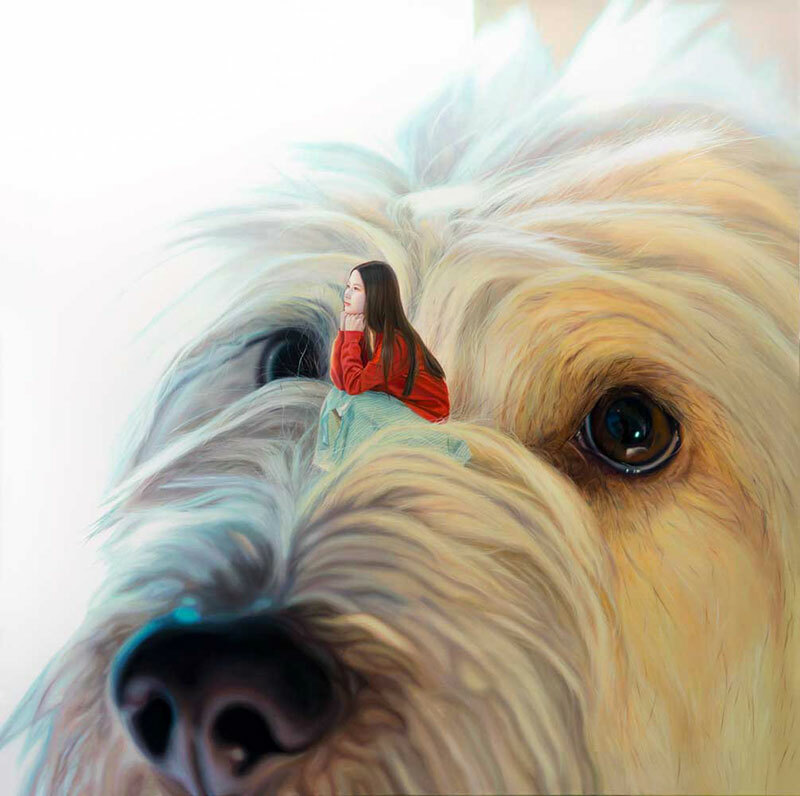 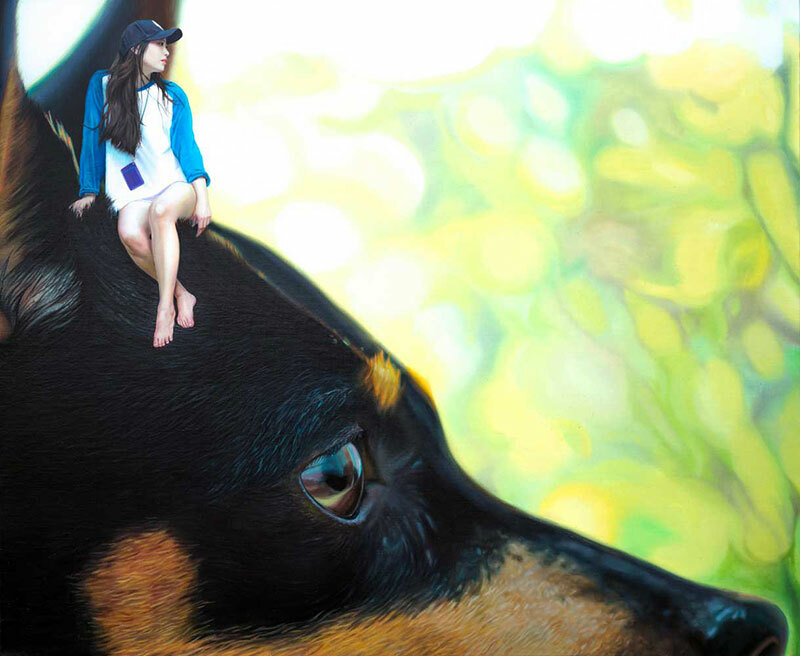 Korean artist Jeong Woojae paintings of a girl and her giant chihuahua are charming and playful expressions to the bond between humans and animals.